After you set up devices policies, it may take up to a few hours for the policy to take effect on users' devices. You can confirm that the policies took effect by looking at various Windows Settings screens on the users' devices. 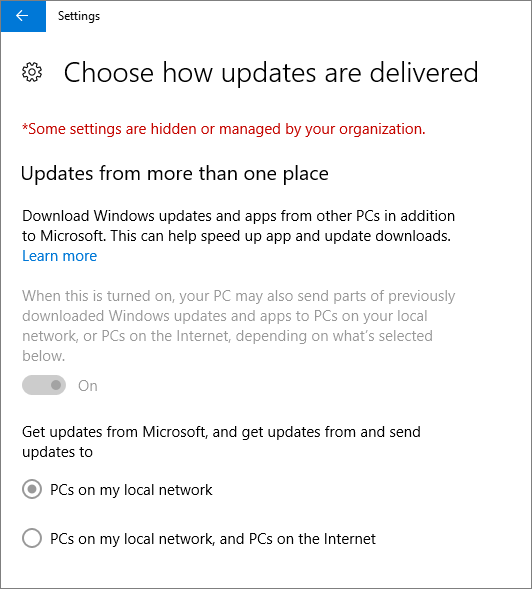 Because the users won't be able to modify the Windows Update and Windows Defender Antivirus settings on their Windows 10 devices, a lot of those options will be greyed out. 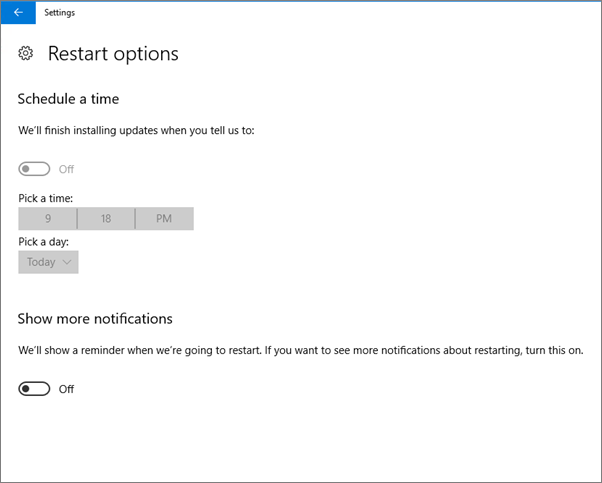 Go to Settings > Update & security > Windows Update > Restart options and confirm that all settings are greyed out. 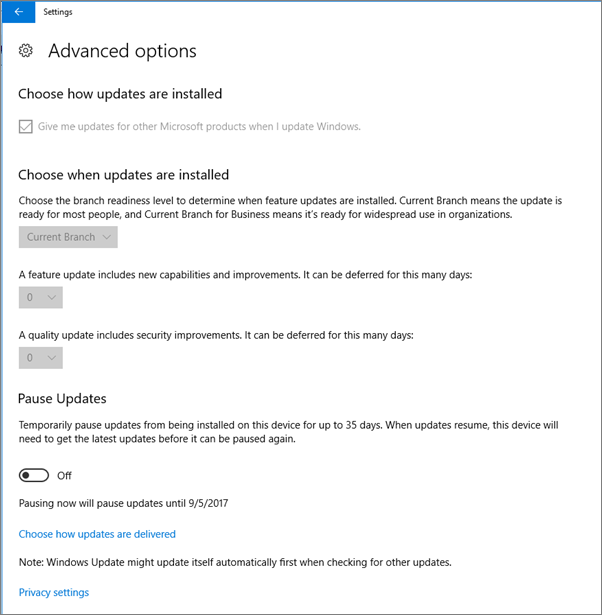 Go to Settings > Update & security > Windows Update > Advanced options and confirm that all settings are greyed out. Confirm that you can see the message (in red) that some settings are hidden or managed by your organization, and all the options are greyed out. 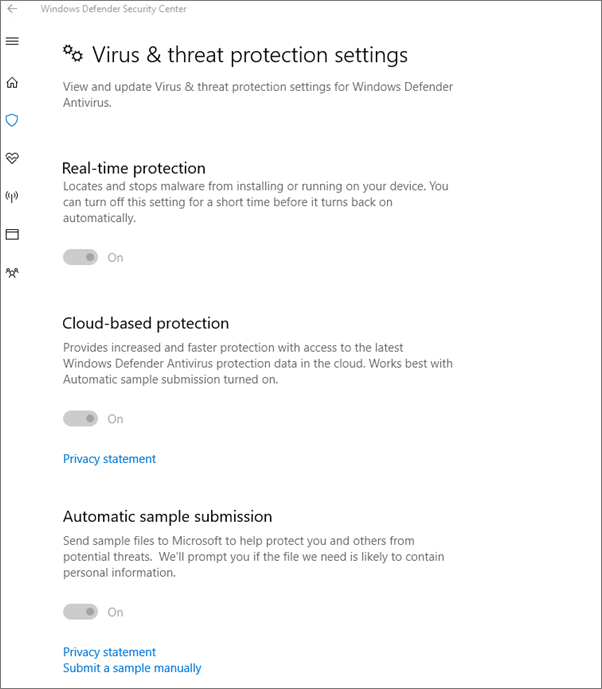 To open the Windows Defender Security Center, go to Settings > Update & security > Windows Defender > click Open Windows Defender Security Center > Virus & thread protection > Virus & threat protection settings. Verify that all options are greyed out.